I won my copy of Royal Street from Book Chick City, which is one of the few adult book blogs I follow. I'm so glad I did because this was a really fun book, and one I may not have read otherwise! Interestingly enough, this falls into the "New Adult" genre, which I hadn't heard of before. But Suzanne Johnson wrote a great read, and the Sentinels of New Orleans is one series I look forward to continuing. The premise is that Hurricane Katrina not only broke the levees, but also destroyed part of the warding that kept the human world separate from the supernatural world. The protagonist, DJ, along with her mentor Gerry, are the Wizard Sentinels tasked with protecting New Orleans, and keeping the supernatural activity to a minimum. But when Gerry goes missing in the middle of the flooding, it is up to DJ, Alex, an enforcer from the Elders, and Jean Lefitte, a smokin-hot undead pirate, to figure out what is going down in the Big Easy. The fact that the book takes place post Hurricane Katrina made me a little leery at first. I felt that using such a horrendous disaster as the backdrop to a supernatural story would be insensitive and gimmicky. However, Johnson writes about the aftermath with sensitivity and pays homage to the survivors and victims, as well as to the city itself, beautifully. The fact that New Orleans is so filled with supernatural lore already, Johnson was able to tap into that and expand it out without making it seem hokey. 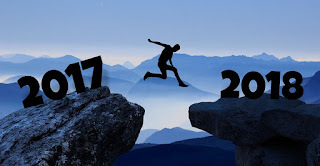 All my fears were eased within the first chapter. My favorite scenes of the book deal with the relationships between the characters. The snark between DJ and Alex is great, as well as the sexual tension. Of course that happens with Jean Lafitte as well. But who can resist men with weapons....ehem. Of course the real character relationship that I love was between DJ and Gerry. There were some secrets kept, but the fierce love they share for each other isn't matched by anything else. I think the relationship DJ has with herself is also amazing. She really grows into her role as a Sentinel, and learns to trust herself and her powers! The descriptions of the setting are great putting the reader directly in the scene. The action is fast and often dangerous and the men are smoldering. Johnson has really crafted a great book and the start to a great series. I can't wait to continue reading. If you like wizards, guns, and undead pirates, oh my, then you need to pick up Royal Street by Suzanne Johnson! 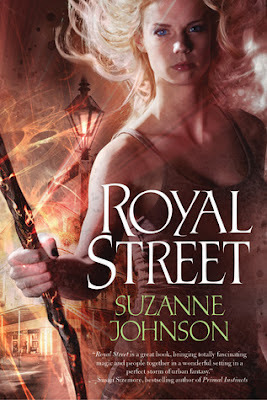 Click here to read an awesome 3 chapter excerpt from Royal Street! There's even an extra link to annotations from Suzanne John son herself! Also check out the free short story, Intervention, set a couple years pre-series!